SEQUIM — As skies grow sunnier, the sights and smells of lavender can’t be far away. Gillis’ book features 95 images of local lavender and its farms, primarily by photographer Roger Mosley. “The Lavender of Sequim” went on sale March 15 and can be found at local lavender farms and North Olympic Peninsula retailers. Gillis said that when she owned a bed and breakfast, she often heard confusion and misconceptions about the lavender destinations. The book features some photos by other photographers, too, including some by Gillis as well as from contributing photographers Tanya Nozawa, Sally Harris and Karen Patry. With help from the City of Sequim’s Tourism Enhancement Grant, Gillis plans to market the book beyond the Peninsula and pursue annual reprints of the book with updated information for visitors. 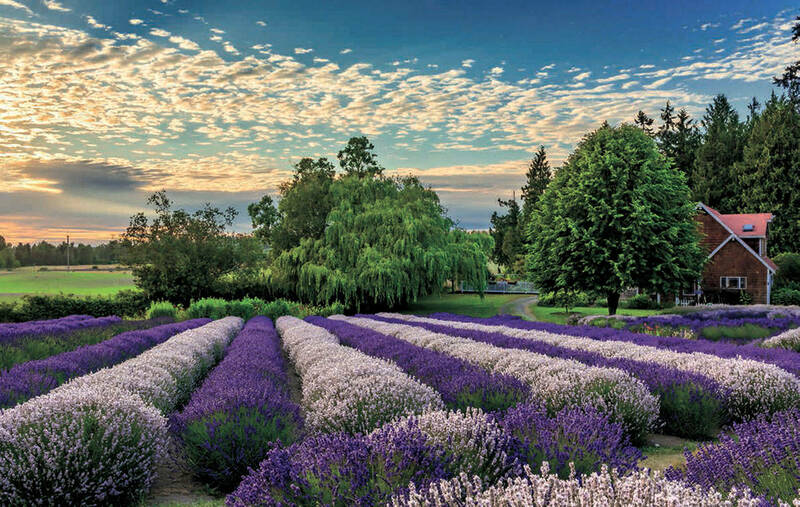 With more locations to come, “The Lavender of Sequim: America’s Provence,” can be found in Sequim at the Sequim Visitor Information Center, Purple Haze Lavender Shop, The Co-op Farm & Garden, Nelson’s Duckpond & Lavender Farm, Nash’s Farm Store and Sunny Farms Country Store; and in the Port Angeles area at Washington Lavender, Olympic Cellars Winery, Port Book and News, Odyssey Bookshop and the Airport Garden Center. It’s also available on Amazon. It costs $18.95. Gillis plans several book signings in the coming months, with her first scheduled at the Sequim Irrigation Festival’s Innovative Arts & Crafts Fair at the Sequim Civic Center, 152 W. Cedar St., on May 4-5. She has several signings set up at lavender farms in July, too, she said. For more information about the book, see www.BooksoutoftheBlue.com or www.booksbybonnie.weebly.com. For more about Mosley, see www.rogermosley.smugmug.com.